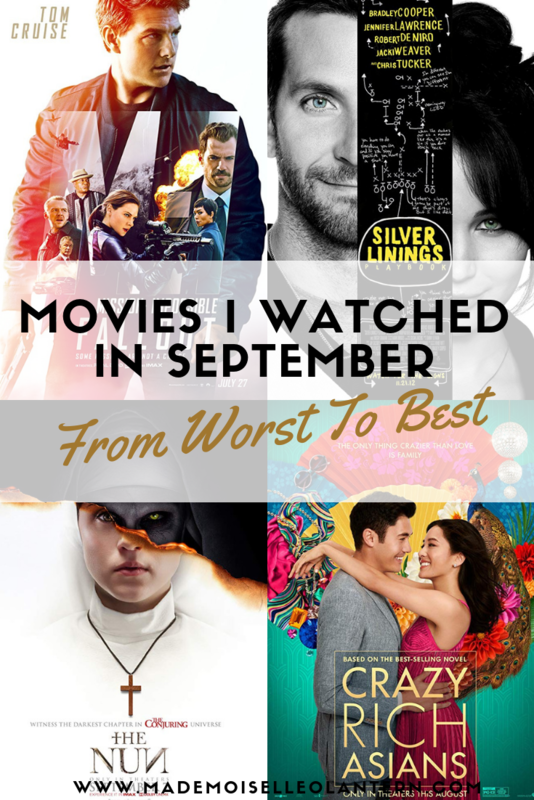 Today, I am sharing with you a set of mini reviews of all of the movies I watched this month, I hope you enjoy reading and let’s get into this post! 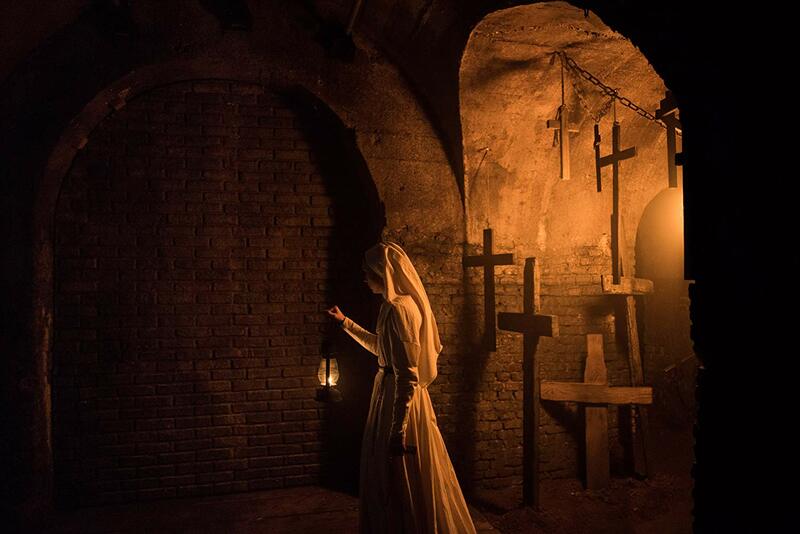 A priest and a novice who’s about to take her final vows are sent by the Vatican to investigate the death of a nun in Romania and confront a malevolent force that takes the form of a demonic nun. I personally really enjoyed watching The Nun because she is a scary character and the movie is quite scary. I also loved the cinematography and gothic art direction. However I didn’t feel like the story was consistent enough and had enough built-up. On top of that, The Nun only relies on the special effects, eerie soundtrack and discomforting camera movement to be scary which is not enough to be defined as a good horror movie. It is a nice touch to the Conjuring saga but I was disappointed to how the story was developed. “Downsizing” talks about a man who thinks being small would make his life better. It has an interesting story related to the safety of the environment and planet and very fun social satire yet it is just not enough, I wish they pushed the story further, I wish they tackled the topic of the environment and poverty in more depth. When I finished the movie I was just left disappointed and wanting more. On the other hand, the character of the maid, Ngoc, is hilarious and makes the movie very fun but besides her and Dusan [played by Christopher Waltz] , I didn’t find any other characters interesting. The movie is pretty forgettable but the idea is very memorable! 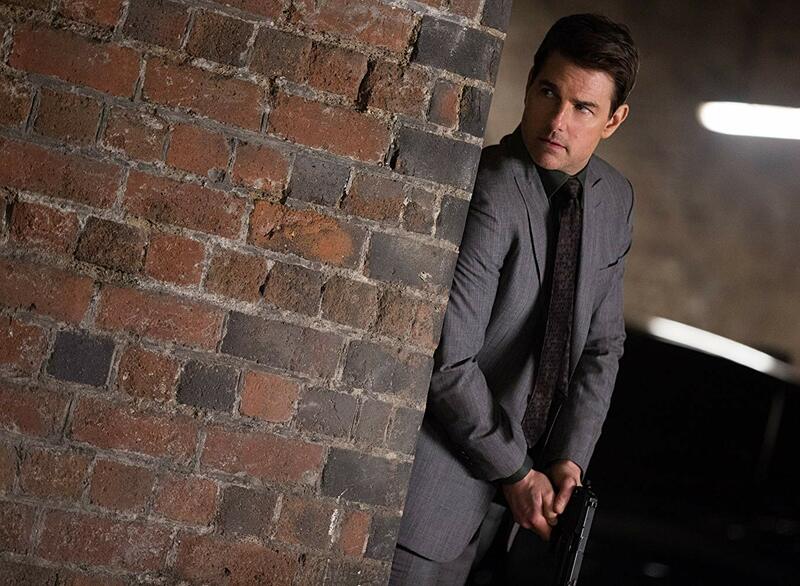 In this Mission Impossible, Ethan Hunt and his team tries to fix a mission that has gone wrong. I absolutely enjoyed watching this one, I think that it’s the best out of them all because everything just flows very nicely together; the camera movement, the action, and the soundtrack. The movie also introduces new camera movement and angle that I really loved, that brought something new to the saga and to the genre of “action”. Also, it delivers what it is supposed to, action and it really keeps you at the edge of you seat. Moreover, the story unfolds nicely and has a great twist! I do not know how I’ve not watched this movie earlier but it is amazing. The story revolves around Pat who comes back from the mental hospital to live with his parents and reconcile with his ex-wife. Things get a bit trickier when he meets Tiffany. The story is definitely not your typical romance-comedy movie, I thought the story was original with a nice twist and the comedy is spot-on. The movie made me pretty emotional as well. Furthermore, the acting of Bradely Cooper and Jennifer Lawrence [all of the other actors, as a matter of fact] is just on point and they have such a nice chemistry together. I also loved the soundtrack, I already downloaded all of it. This is a delightful romantic movie, that has a beautiful portrayal of the Chinese culture [food, architecture, music, rituals] and occasional comedic moments. The story is somehow typical but there are a lot of original things that make this movie unique and memorable. I also really appreciated the fact that the whole cast is asian, portrayed in a positive and strong way. Nevertheless, I didn’t find the character of the boyfriend interesting at all, he’s very passive and 2 dimensional. I did enjoy the character, Rachel and how Contance Wu played this role, her character has a lot of depth. In general, this movie contains a lot of funny characters, that made the movie so fun to watch and unforgettable. Hail to the best thriller of the year because this movie is incredibly good, from the story to the acting and the filming technique. 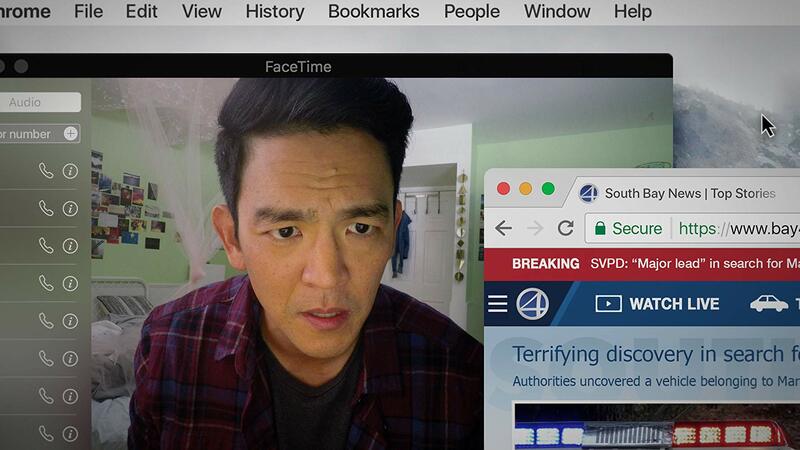 “Searching” revolves around the disappearance of David Kim’s daughter and when he decides to break in into her laptop to find clues. I don’t know from where to start but basically the whole movie is told through the laptop screen, TV news, phone cameras, security cameras and home videos. But, I just think it is very well done, the way the director decided to show the story through text messages, youtube videos, google searches and etc, it is just so interesting and creative. And, it is crazy how you get to understand the character’s emotions throughout the computer’s cursor [how it moves and what it does]. Moreover, the story, as complex as it gets, builds-up very well and gets even more intense and unpredictable. Even though the filming technique is different and may be annoying for some, I didn’t feel like it was cheap or that the story was lacking information because of it [e.g. “Unfriended”]. I think the movie was able to portray our reality which is the danger of social media and the fact that we spend most of our time on our laptop/phones but tell a very intense and important story at the same time. That’s it for these mini movie reviews. I hope you enjoyed reading them and if you did, don’t forget to give this post a ‘like’ and to follow my blog. Great collection! I’ve been wanting to see Crazy Rich Asians so bad! Definitely on my list to watch ASAP! Oh man, I haven’t seen any of these yet! Putting the ones you rated highly on my list of must sees. I haven’t seen Crazy Rich Asians or Searching, but now I definitely need to! Yes Downsizing is not worth it!! 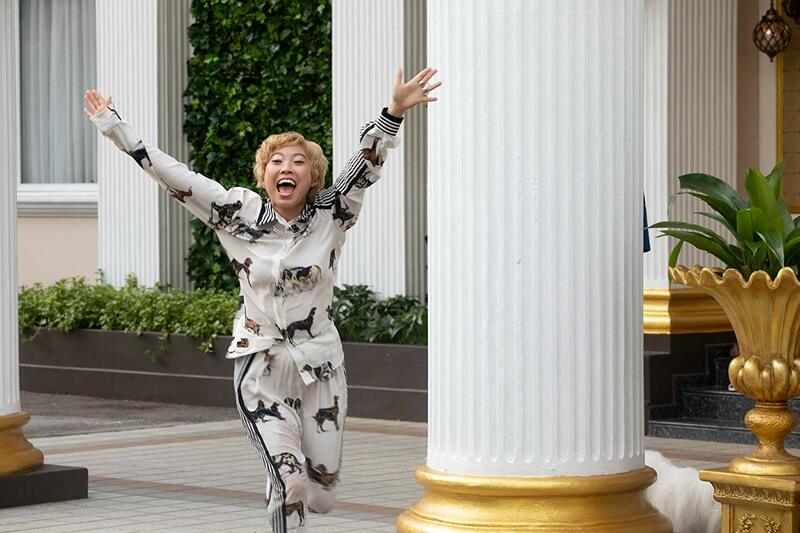 Crazy Rich Asians is so fun, I definitely think you should watch it!!! Ooh this is such a fun idea for a post! Thank you for reminding me to watch downsizing, I really wanted to watch it when it came out but missed it! I love the mission impossibles and want to check out crazy rich Asians now! Joy awesome movie reviews! I want to check out Searching, never heard of that one but the idea that the movie takes place in one setting, the laptop screen has my attention all the way. Going to look that one up and watch it this weekend or next Monday 🙂 I agree Fallout was the best one of the whole series, Henry Cavill did not disappoint. Thank you!! I definitely recommend it! !